Steph believes that leadership, is integrated into the substance of who you are. It is from this, that a leader’s development, can positively impact a person’s individual growth, both inside and outside the workplace. In his opinion, great leaders are not disconnected from what makes them who they are; and, when they connect with it, flourishing can occur. He estimates, that when pursuing excellence, there is no alternative to continuously dedicating oneself to personal and professional development; and, having the courage to face the challenges that arise along the way. 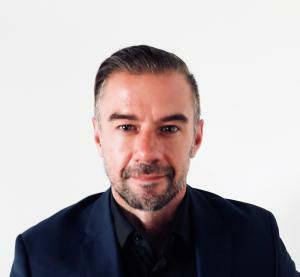 Steph is an accredited coaching practitioner, who: combines his extensive global experience in working with diverse cultures with a deep understanding of cognitive change, to create an environment for positive change with leaders. Steph has over 15 years of progressive experience working with leaders, particularly in the media and communications industry. He has worked in multiple continents; and in his career, spoken to thousands of business entrepreneurs at events, about branding, advertising and effective communication. Steph has succeeded in contributing to increased business performance, that has led to record sales results across many media companies round the world over the last 15 years. Steph has now brought the focus for his practice to Executives operating in Australia, with a sub-focus on leaders, coaches and athletes in the combat sports and martial arts area.